Readers of my posts know that I am a big fan of Paso Robles. We started coming here a long time ago, back when there were maybe thirteen or so tasting rooms. Over the years, we’ve seen a lot of changes and tasted a lot of great wine, especially Zinfandel. Still, with all the Zinfandel we have had from Paso, there is one name that sums up to me what Paso Zin is all about – Dusi. This is in no way meant to downplay the other great vineyards in Paso Robles. There are many incredible ones. 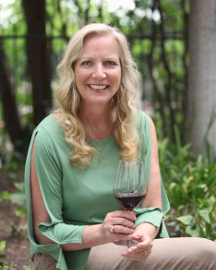 But there are certain vineyards that, to me, really represent the region they are in – in Santa Barbara County, I think of Bien Nacido; Monterey County – Pisoni; Sonoma – Monte Rosso. And, for Paso, I think of Dusi. There are actually two Dusi Vineyards, planted decades ago. Historically, Dusi grapes have been sold to other wineries, and invariably the wines produced from these grapes tend to be among my favorites. For example, we are huge Turley fans, and highlights of our trips to Paso are our visits to the Turley winery to pick up our allocations. We enjoy all the wines Turley produces, but we always end up saying our favorite was the Dusi. And this is our usual reaction whenever a winery produces a Dusi bottling. Earlier this year, we attended a Paso Robles tasting that was being held in Santa Monica. One of the highlights of this tasting was meeting Janell Dusi, granddaughter of Dante Dusi and learning that she was now producing a small amount of wine from the family vineyard. We tasted many great wines that evening, but the highlight was meeting Janell, tasting her Zinfandel, and talking to her about the vineyard. In 1945, Sylvester bought and planted the 100 acres on the west side of Highway 101 which is now Dante Dusi Vineyard where I live. Sylvester left the vineyards to his two sons; Dante and Benito. His oldest son Guido lived in Paso Robles. A day or two after the Santa Monica tasting I ordered some of Janell’s Zins. Recently, we opened a bottle of the 2006 J. Dusi Zinfandel. 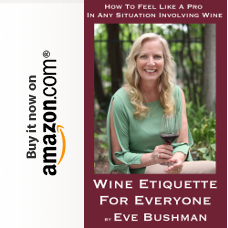 Have you ever attended a tasting or visited a tasting room and had a wine that you absolutely loved, bought some and when drinking it later wondered what all the fuss was about? Maybe it was the ambiance of the event, or maybe your palate was fatigued to the point that everything tasted good. Fearing that this might be the case, I opened the bottle with some trepidation. Nothing to worry about here. The wine absolutely sang: Paso Robles! Once again, Dusi comes through! A couple of weeks ago I opened a Turley Dusi vineyard Grenache. It was the 1st year for them to make a Grenache I was told when I purchased the bottle. It was truly incredible. Now if we can just get them to be a little kinder at the winery, all will be fine. To the best of my knowledge, the Dusi vineyard is planted only to Zinfandel. Also, to the best of my knowledge, the only Grenache Turley makes is from its own Pesenti vineyard. If I am wrong here, please enlighten me. I'm not understanding the comment about being kinder at the winery, but perhaps it has to do with the limited wine being available at the tasting room because so much is allocated to Turley's rabid fans. I have always had positive experiences with Turley's personnel. My major concern is that the negative tone of the comment reflects not only on Turley, but might also be construed as being directed towards Janell Dusi of J. Dusi winery who of course has nothing to do with whatever tasting room experience you may have had at Turley and is in fact about a gracious a person as there is.